SLAKE’S SOLILOQUY: Valencia hiring Gary Neville was stupid; but not for the reasons you think. Rodrigo Caio. That is a name many Valencia fans will remember anytime they think about the 2015/2016 season, a name they will probably never forget. It is even more ironic when you consider the fact that his transfer to Valencia pretty much ruined their season, and he never even got to kick a ball. Hell, he didn’t even pass his medical. He wasn’t even in Spain for up to three weeks. Guess where he is right now? Brazil. Of course, his role in destroying Valencia’s season had little to do with his own actions. Rather, he was a puppet of sorts in a power struggle that ultimately led to the appointment of Gary Neville. How the entire thing unravelled is akin to a box office hit. Like most Valencia fans will say; only in Valencia. It all began sometime in June 2015 when Valencia’s official Twitter accounts announced that the club had signed a young Brazilian defensive midfielder named Rodrigo Caio. Normal right? No. Not this one. At first, Valencia fans praised the management for keeping the deal under wraps and totally surprising everyone. It was so stealthily done, apparently. This changed as soon as more details started to emerge regarding the deal. The president of the club, Amadeo Salvo, and all the people involved in wrapping up signings were not aware of the transfer until they logged into their Twitter accounts. They found out on Twitter! So, who knew? Jorge Mendes, who has an unofficial role at the club from being a close friend of the owner, and his first ever client in football who also happened to be the manager of the club at the time (surprise surprise!) Nuno Espirito Santo engineered the transfer. Whatever goodwill Nuno had earned himself up to that point evaporated quickly. When new owner Peter Lim took over the club in 2014, his association with Jorge Mendes made a lot of Valencia fans uneasy. With Valencia going on to sign a lot of Mendes clients in the first window following Lim’s arrival, their unease grew. However, the brilliant performances of some of the Mendes clients especially Andre Gomes made them relax a bit. Perhaps it’s for the best, they thought. Also, Club President Amadeo Salvo, a lifetime Valencianista and hugely popular figure with the fans, did a brilliant job being the face of the Lim project, addressing the fans and media whenever necessary and more. Former player and the man in charge of transfers, Francisco Rufete, also made sure there was a balance where Mendes was concerned as he pulled off some excellent deals for non-Mendes players for cheap fees, notably Shkodran Mustafi. Valencia’s on-field performances under Nuno, who had won over the fans bothered about his Mendes links, contributed to everything running smoothly. The fans had little to complain about. Following the fallout from the Rodrigo Caio deal, one which meant Rufete could no longer tie up a deal for Giannelli Imbula which he had been working on for months, problems began off the pitch. 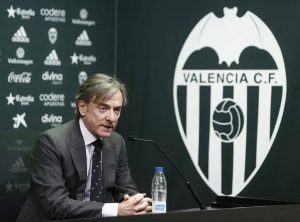 This led to a mass exodus of Valencianistas from the administrative set up; people who knew, understood and loved the club – Amadeo Salvo, Francisco Rufete, Roberto Ayala to name a few. This meant that Nuno became exposed. Most of the blame was placed at his feet, as he was the one the fans could see. It worsened with more Mendes signings; there was a pattern too. Either they were young players with potential – read can-be-sold-for-profit-and-mendes-makes-a-fortune – or they were overpriced players who simply weren’t good enough for the club. What everyone agreed the club really needed was a bunch of excellent, experienced players who would strengthen what was a really young squad. At the team presentation, Nuno was booed as the fans had fully turned against him. So much uncertainty hung in the air. It was against this backdrop that Nuno Espirito Santo went into the season. The team was clearly weaker and the season didn’t start so well. A loss at Espanyol was the culmination of a string of shambolic Valencia displays; a game that had nine Mendes players in Valencia’s starting 11. Injuries didn’t help either. The team eventually found themselves on the verge of being knocked out of the Champions league and the football was dreadful. Eventually, the handkerchiefs came out at Mestalla and Nuno got fired. (Officially, he ‘resigned’. However, he was fired.) His last two games as Valencia manager – against Gent and Sevilla – saw the club register just one shot, a free kick by Dani Parejo. To put that into context, Gent registered 19 shots against them in an eventual 1-0 victory. The team looked uninspiring, dreadful and a mess. Nuno deserved to be fired, and so he was. It was at this point that Mr Peter Lim made a very bad mistake; he hired Gary Neville. What Valencia really needed was to steady the ship and win back the trust of the fans. To do this, the club needed to hire an experienced manager who could steer the ship back in the right direction, someone who could speak fluent Spanish, someone who had reasonable experience in la liga, someone who had good man management skills, someone who had earned the right to be Valencia manager through his prevous work, someone who wouldn’t get the job simply because he was friends with the owner or Jorge Mendes – everything Gary Neville wasn’t. On this, Mr Lim made a grave error that cost Valencia their season. 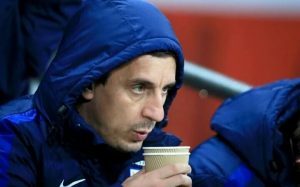 Hiring Gary Neville was a PR stunt that failed spectacularly. Everybody agrees that the only reason he was hired in the first place was his friendship with the owner. Not a good way to get such a job. He hadn’t earned any respect as a manager and players were always likely to question his tactics or reasoning at every point, especially when things weren’t working. He had no managerial experience (no, his England role doesn’t count for anything) nor did he have the required skills to get the best out of an underachieving squad. Worst of all, he couldn’t even speak the language. It was a silly gamble, an incredibly stupid decision that turned out to be worse than anyone could have envisaged. Gary Neville took over and made rookie mistakes; mistakes that an experienced manager would never have made. 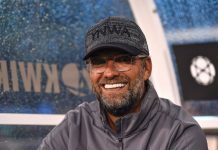 He alienated the local media, made an unhappy squad unhappier with his handling of his players and was generally tactically out of his depth at that level. He did show a willingness to learn a few things but that evaporated when he got desperate as results continued to go against his team. At a point, it looked like trial and error with him. Valencia was always going to be a complicated job, and he was brave to accept the challenge. He tried his best and seemed to genuinely care. He made one brilliant signing (Cheryshev) and at some point seemed to have gotten a hang of it. But it was obvious from day one that he was the wrong appointment. He was given a chance and he was too limited in his knowledge and abilities to take it, as expected. The bad thing is that he did worse than even the worst skeptics expected. That was a big problem. It would be harsh to lay all the blame at Gary’s feet. He would have gotten off to a far better start but for two players; Alvaro Negredo and Aymen Abdennour. Negredo, ironically one of the few experienced players in the squad, was one of the worst. He missed sitter after sitter; most notably against Sporting Gijon. In the home defeat to Sporting, he missed FIVE (5!) sitters. 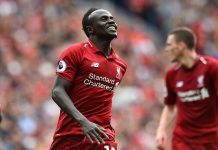 The problem was that Neville kept defending him and playing him when he was clearly sabotaging his teammates’ efforts with his inability to take his chances. Aymen Abdennour, on his part, is a solid contender for worst signing of 2015/2016 in world football. Signed for 30 million Euros to replace Otamendi who had left for City, Abdennour was simply embarrassing. Valencia shipped a trailer load of goals with him responsible for most. Another mistake Neville made was not buying a defensive midfielder in January. The team was crying out for one. That was a key problem that hadn’t been properly addressed, with Javi Fuego, the only real defensive midfielder in the squad, out of form and consistently injured. Enzo Perez who used to fill in and put in a shift, even though he was very poor in that position, kept getting injured after every 45 minutes he played. The less said about Danilo Barbosa, who is really just a box-to-box midfielder, the better. Gary also played Dani Parejo there. That was his single worst decision. Putting Parejo anywhere near his own goal is akin to tactical suicide, and Gary committed it. At some point, in order to fix the problem, he promoted 22-year old Wilfred Zahibo from Valencia Mestalla (The B team) who simply wasn’t good enough. It took Gary too long to recognise that and it cost Valencia. Instead of fixing the problem with a new signing, he kept looking for non-existent solutions in his squad. He also replaced a loaned out a backup left back and replaced him with…a back up left back. It was embarrassing to see. Also, his inability to read most games was a problem. It didn’t take long for fans to see that he was out of his depth. 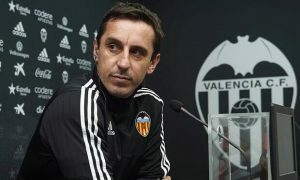 Valencia CF and Gary Neville was more than a mismatch; it was a bad marriage. Talk of Gary being blameless because he met a “hopeless situation” at Valencia is balderdash. Even if it was a very difficult first job, he should have done far better. There is simply no excuse. There are some damning stats/facts. He is the Valencia manager with the worst win percentage in the club’s 97-year history. His team kept no la liga clean sheet in his four months in charge. He led the club to only 3 league wins in 16 matches. He took over a team 5 points off Champions League places and left them 6 points from relegation. He went three months without winning a league game. He lost his last 3 home games before getting fired. It looks even worse when you consider some of the teams he faced in this period are La Liga’s bottom five clubs – Levante, Sporting Gijon, Getafe, Granada, Rayo Vallecano. He lost against two of them (one at home) and drew with the rest. Let’s not even go into the Copa Del Rey clash with Barcelona. There is simply no excuse to be made for Gary Neville. No need to sugarcoat it; he failed spectacularly at Valencia. He could become a good manager someday, the signs are there. In fact, I firmly believe he will. I get some of his ideas, and I think he is definitely on to something. Trust me. But as far as Valencia is concerned, he failed. Now he has to take a break and evaluate his time in Spain. He needs to figure out what his mistakes were and learn from them before going back into management. There is simply no need to rush into another job. His experience at Valencia in the last four months will prove to be invaluable if he is smart enough to use it. For Valencia, hiring Gary Neville was a bad mistake, a stupid one they should never make again. Take note, Mr Lim.